This morning when I told the children we needed to walk to the mail box, I had no idea it would bring us all such happiness! On our way home, we were greeted by one of our neighbors. After speaking with her for a short time, another neighbor came out. I haven't gotten to know these women in the last year, because of no special reason. I feel like I've been missing out though. They are such a wealth of knowledge of our neighborhood and I imagine they could keep me entertained for hours with their stories! I know its supposed to be only 1 photo to show the moment of happiness, but I couldn't resist sharing all 4! Such a beautiful day! Such beautiful conversation! Such a beautiful time on a morning walk. 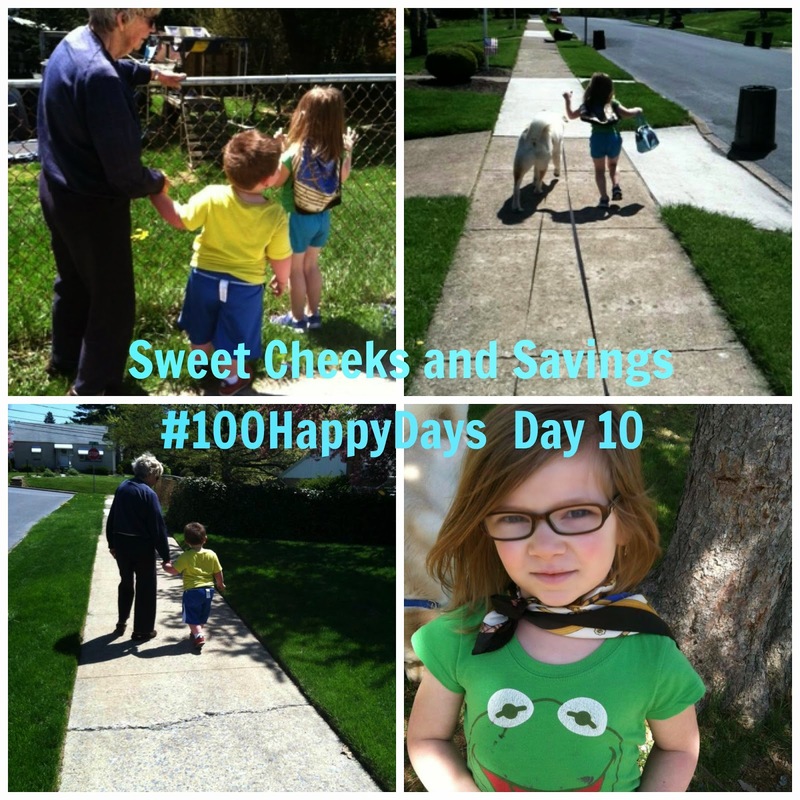 To start your #100HappyDays, head to this website and check it out!